Last week Amazon announced that developers could now access its proprietary, omni-directional seven-microphone array to incorporate into third-party devices. A number of developers have expressed strong interest in the Amazon Alexa 7-Mic Far-Field Dev Kit but access is invite-only at this point. It is not clear when it will be available to the entire Alexa developer community. Amazon explains in its blog post announcement that using just any old microphone won’t provide an optimal Alexa experience. Delivering a high-performance voice experience for end users requires smart processing technologies at both the edge and in the cloud. Amazon’s Lab 126…developed the unique 7-mic circular array with beam forming to isolate the user’s voice from background noise and deliver high-quality input for processing by AVS in the cloud. 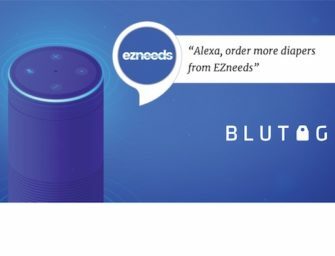 The two work in harmony to enable delightful customer interactions with Alexa. Despite pronouncements by Gartner that the device market will net annual sales of $2 billion by 2020 and by RBC that it could represent as much as $5 billion in revenue in 3-5 years for Amazon alone, the company is not discouraging third-party devices. Amazon is encouraging them. When Apple introduced the iPhone and iOS it made accommodations to software developers recruited to the platform, but held back the hardware intellectual property. Amazon Echo started in a similar fashion by releasing the full stack solution of hardware and software. Much like Apple, within a year Amazon also had an SDK and was recruiting software developers. However, it didn’t stop there. Amazon introduced the Alexa Voice Service (AVS) to provide the voice assistant software backbone for third-party hardware manufacturers. We saw the fruit of that development at CES this year with dozens of Alexa-enabled devices. Many believed that Amazon Alexa won the CES PR battle even though it had no official presence at the show. Sharing proprietary microphone array technology reinforces this commitment to the partner ecosystem and suggests that Amazon isn’t concerned at all about device revenue. Amazon wants device manufactures that use Alexa to be as successful as possible. The company is most committed to its software. More specifically, committed to the widespread proliferation of the Alexa Voice Service. The AI behind Alexa is robust, but the voice assistant performance doesn’t matter if users can’t be recognized due to poor hardware performance. This would most likely reflect negatively on Alexa even if caused by a hardware deficiency so Amazon has incentive to help third-party OEMs help themselves. Additional solutions coming in 2017 will deliver fully integrated, high-performance far-field reference designs that make it easier to build and launch products with Alexa. The Amazon Alexa 7-Mic Far-Field Dev Kit appears to fulfill that promise. It is also another example of Amazon fulfilling its promise to be an open platform for developers. Amazon doesn’t have a billion iPhones or 1.6 billion Android devices in circulation so it is taking a different approach to building audience. Let a thousand flowers bloom by allowing third parties to build the audience for you. The approach benefits both parties. Now those third-parties may be just a little better at recognizing voice interactions. Definitely a step in the right direction. Amazon is likely to lose hardware sales by sharing its hardware IP with third-party OEMs. However, it is potentially gaining a lot more users and is leveraging the innovation and marketing prowess of others to compete against Google and Apple. Microsoft is following a similar strategy and we expect to see its first third-party powered devices later this quarter. While Amazon may be ceding some hardware sales, it is the Alexa Voice Service that commands the consumer’s attention. This leads to a lot of customer relationship advantages, potential for downstream software sales and more sales through Amazon retail operations. A CIRP study in 2016 found that Prime members spend 10% more after purchasing an Amazon Echo. That perpetual revenue lift will offset lost hardware sales many times over.